First, let’s answer the most often asked questions about a video? Well there are two answers – as short as possible or as long as it takes. There’s no doubt that shorter videos are more popular as they can be quickly consumed during a TV ad break, or in transit, or even during a call to nature. 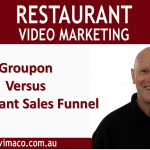 So ideally your video should be as economical and as effective as possible. Value your viewer’s time and if you can get your message out in 30 seconds instead of 30 minutes then all the better . If you do have a complex topic that needs more time to cover, then consider breaking it down into a series of videos eg Part 1, Part 2. A good tip is to have videos with a variety of lengths on your channel so if a viewer only has a couple of minutes or a couple of hours, they can be accommodated. Having a structure to your video will not only make it more effective but will also give you greater freedom. That may seem to be counterintuitive, but when you have a structure in place you can use your creative energy on the content itself rather than worrying about how to put it all together. The topic of the video should be one that your target audience is searching for online. Identify the problem they are seeking to solve and use the Google Adword Planner to find related keywords and their number of searches made each month. Many video creators make the mistake of starting their video outline from the opening before they have worked out exactly what the rest of the video will be. It’s better to know where you are planning to go before packing your bags. With your topic / problem in mind, brain storm ideas on how you are going to solve the “problem”. List the key points without over thinking about them, then select three to five points for your video. Too many points will dilute your content. Focus on the main points and give your audience clear actions to take. Sorry to put the pressure onto you, but the opening is the most crucial part of your video. You will literally have only seconds to convince, seduce, engage or intrigue the viewer to stick around for a bit. So don’t leave it to chance to get it right – put some real thought into it. Think visual, think auditory, think impact! In your opening you need to state the problem and how you will offer the solution to their woes. If your audience is not familiar with you or your brand, you will need to qualify or establish yourself as an authority on the topic to get you audience to buy into your ability to deliver the goods. For example, if a 15 year old kid opened a video by claiming to offer tips to new retirees, even if the content was useful, it would certainly lack credibility. Now that you have your audience’s undivided attention, then it’s time to “Brand” yourself with your amazing animated logo. But you ask, why now? Well we know that regardless of how engaging your video is, the audience will slowly (or quickly) start to drop off as outside interruptions and short attention spans kick in. So now is the best time to give your business a plug. Just be sure your intro is no more than 4 to 5 seconds and that it visually impressive with a catchy tune. It needs to be memorial so that your audience will come back again to see your other video masterpieces. Use the 3 to 5 Key Points that you created earlier. Start with information that your audience will be familiar with before introducing information that may be new or challenging their experience or beliefs. Use graphics / titles to help clarify each point which will help your audience’s retention of the information. This is where you summarise your main keys points and what they will take away from the video. Don’t introduce any new information here, save it for another video. All good videos should include a Call to Action. Ask and you shall receive. Use End Cards to ask for Likes, Shares, Comments, Subscriptions – the more the merrier and the better your video ranking. Be sure to follow up on any comments. This will spur even more comments when your viewers see evidence that you really do exist in real life.